We knew that to start a movement around age acceptance and pride we had to make our campaign interactive. 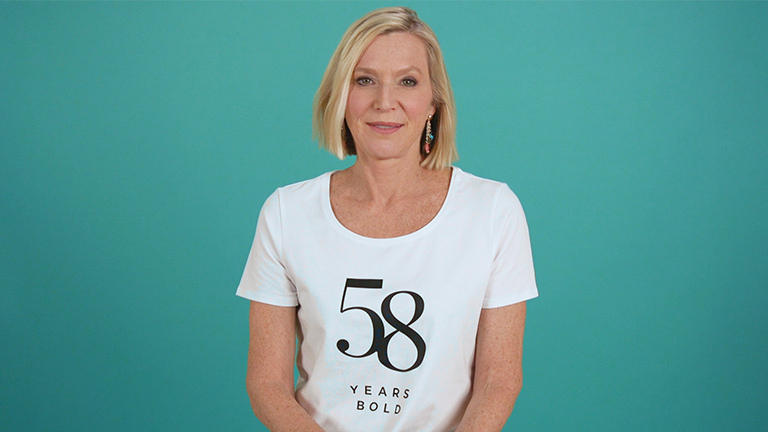 We enlisted the help of author, speaker, and media influencer, Lee Woodruff who took to the streets of New York to hand out age embossed t-shirts to passersby. This content was pushed out on social, encouraging people to go to a microsite where people could overlay their age on selfies before uploading them to their social accounts for the world to see. A digital chatbot helped users learn how to talk about their age proudly, helping them to spread the message of age acceptance. We helped to create a movement around age positivity, with over 100,000 people using our chatbot tool, and 20,000 people changing their social media profile pictures to include their age.